Traveling through the UK with my two knee-high knights was always a good time. It’s easy to see a photo these days (when both of my kids have grown to my height) and feel a twinge of nostalgia. But since moving back to the States recently, I’m a little overwhelmed by waves of nostalgia. It’s a problem. Nostalgia is a great place to visit, but it’s no place to live. I’m aware of that. And I know that, as I move forward with this blog (I still have plenty of stories and photos to share, and hopefully new travels in the works too), I don’t want this fug of nostalgia to take over entirely. But, when logging into my blog account last week, I noticed many– so very many– other blog posts popping up about Nostalgia-this and Nostalgia-that. I laughed a little, thinking the internet was riding some wistful wave–a viral mood gripping its readers as the autumn chill and our nesting instincts kicked in. As it turns out, that wasn’t it at all. Wordpress had posted a weekly photo challenge entitled “Nostalgia.” People were jumping on board the theme. Although I’m a few days late for the weekly challenge, I think this gives me free reign to go nostalgic this week. I’m sure it won’t be the last time my posts take this tone, but I hope (for both our sakes) that a little indulgence of my nostalgic mood will help it to pass. Alnwick, on the river Aln, is set by the coast in Northumberland. It is a couple of hours north of our old homebase of Ripon, N.Yorkshire, and a couple of hours south of Edinburgh. That made it a great stopping off point when we would drive the beautiful coastal road up to Edinburgh . . . but it was also a great destination in its own right. 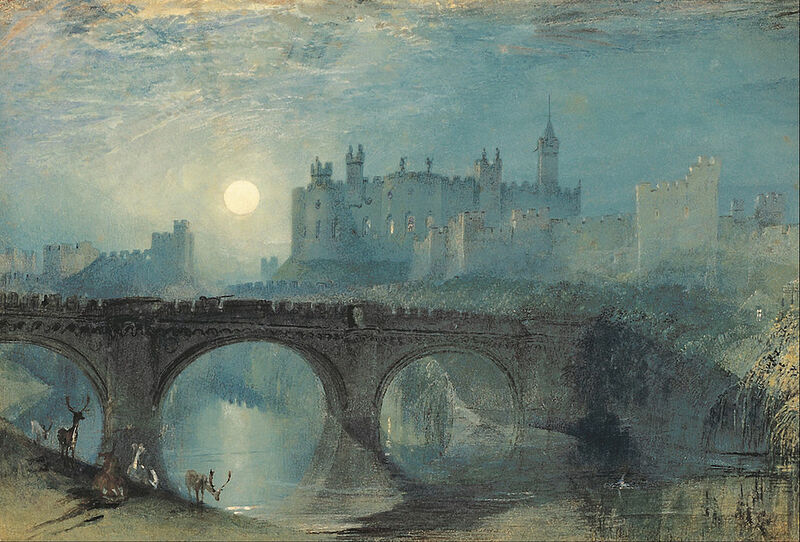 Alnwick Castle is, was, and quite possibly always will be, home to the Duke of Northumberland. The family still lives in the castle, and, although tourism is big business for the castle, it is still very much a family home. There are family photos in the living areas, family stories told by tour guides, and, if you are lucky, plenty of family sightings. A family affair: we make the castle ours, if only for an afternoon. Alnwick Castle is about 1,000 years old–yes, you heard that right. Some nip, tuck, and augmentation over the years, but she’s a medieval beauty with a fantastic backstory (both illustrious and checkered) of exploits in British history. Much of her prominence owes to the fact that she sits near the present day Scottish border. 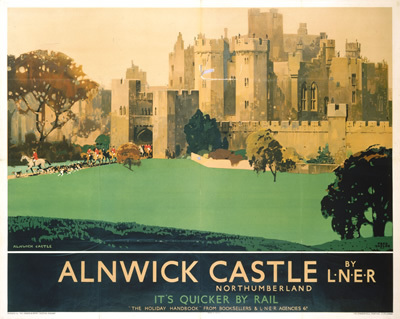 The border lands have long been disputed territory, so Alnwick was strategically important. Her most famous son was Harry “Hotspur” Percy. He became a knight, Sir Harry Hotspur (I kid you not), who earned some fame for his military prowess, and later for rebelling against Henry IV. But Alnwick’s past often takes a backseat for tourists who know her better as the backdrop for many scenes in the Harry Potter films and the Downtown Abbey Christmas Special. Nevermind that– the Percy family is glad to entertain Potter fans and sneaky enough to slip a little British history into their experience, even if they only showed up to frolic on the Quidditch Lawn. 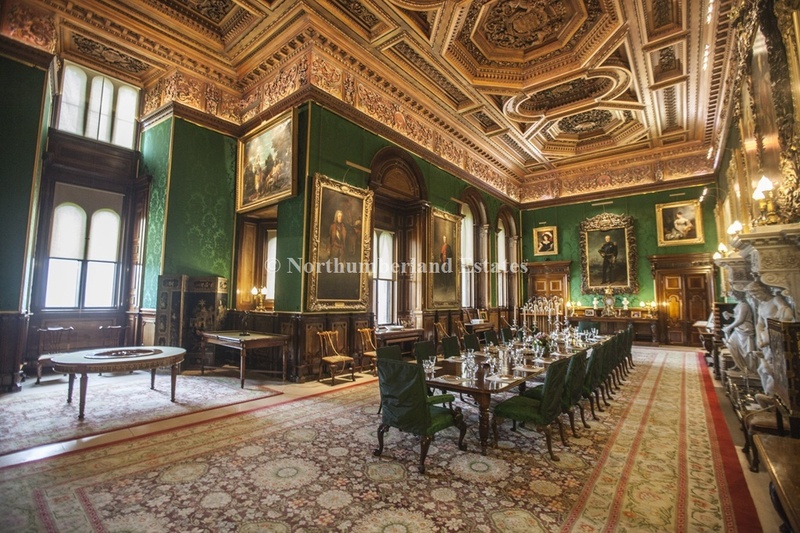 The Percy family dining room, impossible not to covet. Image from Alnwick Castle website. As you can imagine, the interior rooms of Alnwick are extraordinary. My favorite rooms were the dining room and the library. The library is grand, but also filled with family touches that remind you that this space isn’t a museum, it is very much a family home. My only complaint with this room is that Jane Percy, in a misguided fit of whimsy (that steered right past whimsy and landed in the territory of macabre), has on display a taxidermied dog. Yes, a stuffed dog. (Not her own, we were assured.) This is a step too far. . . even for a colorful dutchess who lives in a 1,000 year old castle. Not cool, Jane Percy, not cool. Training the next generation of Hotspurs. 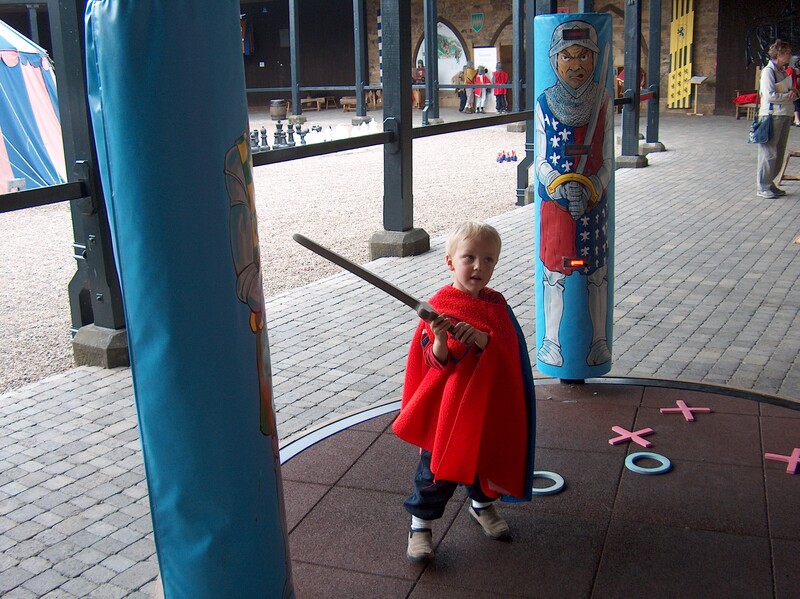 Alnwick boasts a “Knights’ School” tucked into one of its courtyards, where children can have some hands-on time sharpening their medieval knight’s skills. (The lead off photo on this post is my kids at the Knights’ School.) By our second visit to Alnwick (nine or ten years ago), there were also Harry Potter exhibits (tastefully) in place around the castle. I expect there might be even more Potter Paraphernalia in place these days. It’s all in good fun, and the Percy’s seem to develop these exhibits and activities in ways that feel right and respectful to the space. On that second visit, we stayed overnight in a small hotel in Alnwick (I can’t recall the name). It was simple, but comfortable, and the English breakfast was fantastic. It was a “Full English Breakfast” with toast, beans, eggs, tomato, sausage and bacon, and black pudding. I couldn’t face the black pudding (a highly seasoned blood sausage, sliced and fried) –a little too medieval for me. Honestly, I dodged a few items on the menu, having a pork allergy– but I always wonder how anyone can consume a “Full English” and still be ambulatory at 8 o’clock in the morning. That much food for breakfast would send me moaning back to bed. But I digress. Hanging out where the Harry Potter cast and crew stayed. And so, Alnwick has a little something for everyone . . . or a little of everything for everyone. It has history and Hollywood, medieval and muggle, sprawling grounds and mile-long dining rooms, tree houses and train stations . . .it has charm. Who wouldn’t get nostalgic about days spent there? I can vouch for the food in the treehouse restaurant – it was delicious when I visited anyway. So it’s worth a visit for more than just the novel experience! Good to know. Now that my kids are older, I can look forward to a visit someday when we can sit down and dine! 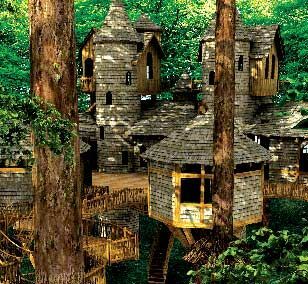 I too have yet to visit the Treehouse – or even the garden. Thanks for pushing me towards a return visit. Glad to do it! Great place–and an easy trip from N. Yorkshire! It was/is lovely. Thanks for reading! 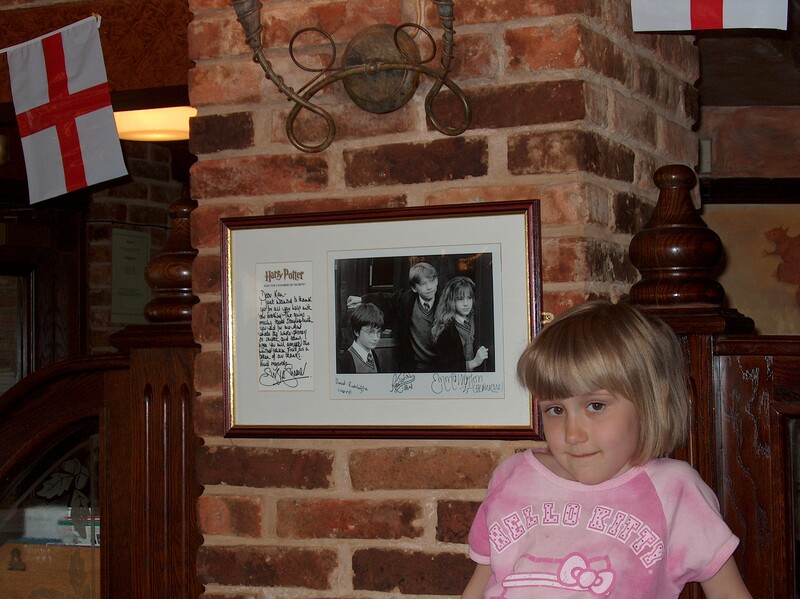 Great post – brought back lovely memories of a wonderful day out we spent there too! A great place for a family visit! Thanks for reading. Jane Percy seems to be a very dynamic person– she oversaw the opening of the fantastic gardens, Treehouse, etc. I’d love to meet her — just not her stuffed dog. Ewwwww. It is beautiful. Have you been to Lindesfarne? Another fantastic stop up the coast. Thank you for sharing and lovely pics. You are very welcome– thanks so much for stopping by! I like the way you let your family be part of your interesting travel posts. Never too old to have a good time at a castle, right? Thanks for reading!